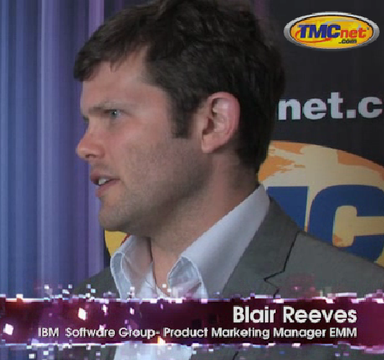 In a candid IBM interview, Carl Ford of Crossfire Media spoke with Blair Reeves who said companies should spend less time on advertising and worrying about various channels and instead focus more on putting customers at the center of their business. He went on to explain that everything is part of big data – there is so much data going out there not only on the marketing side but related to how people are buying and selling he said. Another interesting point was this coupled with social information can be used by companies to serve their customers better. What he said was these are not discrete experiences, they are part of a larger omnichannel experience. Reeves went on to explain these challenges are cultural and organizational as much as they are technological. He concluded by saying sometimes it is even a political issue. Perhaps the most compelling part of the interview was a reference to “digital Darwinism” where the companies that move and adapt quickly making smarter investments and moves with their customer base will win over those stuck in the past. Citing an example he mentioned an airline he flew on to France allowed him to access flight information quite easily – he hates dealing with currency he explained which is why he paid for his luggage fees online. The company provided a rich experience and a lot of customer value. He was able to tweet with them when he needed to communicate and he received real responses which helped answer his questions. The airline had a single view of all his communications and information he said. He contrasted this to his ISP where none of the people he contacted on the phone and on social networks seemed to know what was going on. He had to constantly repeat the same information about his contact data and more. When the technician came to his house he realized that the person had not been told what the problem was and he had to repeat it all once again. His point was the last-mile market had little competition which explains whey there hasn't been much focus on the customer. Google Fiber he surmised will finally disrupt the ISP space. He went on to discuss the Watson Customer Engagement Advisor – this will allow customers to have their questions understood in context so questions, problems and complaints will be responded to in real-time. He says this will provide a lot of value for customers. He tied this into IBM’s Smarter Commerce and Smarter Planet strategy – where the world will better cope with the increasing amount of information it has and use it in a meaningful way that provides value to people’s lives, building a world which is a lot easier to live in.